We apologize for the redirection, but due to Google's/Blogger's change from FTP to 'direct', this blog's URL had to change. It is (now at this URL: http://blog.energy2025.com). Thank you for your understanding. Two recent articles discuss options Obama has for dealing with BP (and the general energy problem) are discussed in The Economist (Obama vs. BP) and The Washington Post (Pipe Dreams). Thomas Friedman provides a hint to the Obama administration - how to take a leadership role - to take a much needed, serious frist step toward ending our oil addiction. Read the article. A very important way to reduce reliance on imported oil: Read the article. Clean Edge issues its annual Clean Energy Trends report to track key developments in clean-energy markets. Past reports have been downloaded by tens of thousands of individuals in government, finance, industry, and the media. Clean Energy Trends 2010 is made possible by the support of its sponsors, including premier sponsors Cascadia Capital, Deloitte, and Hobbs & Towne. Major sponsors include Akin Gump, Bloomberg New Energy Finance, Blue Practice, E2, and Mintz Levin. Clean Energy Trends 2010 can be downloaded free of charge. Following receipt of a $95 million grant from the U.S. Department of Energy under the American Recovery and Reinvestment Act and successful negotiations between Saft, the state of Florida, and the city of Jacksonville, construction will soon begin in Jacksonville for the lithium-ion (Li-ion) factory of the future. More, here. 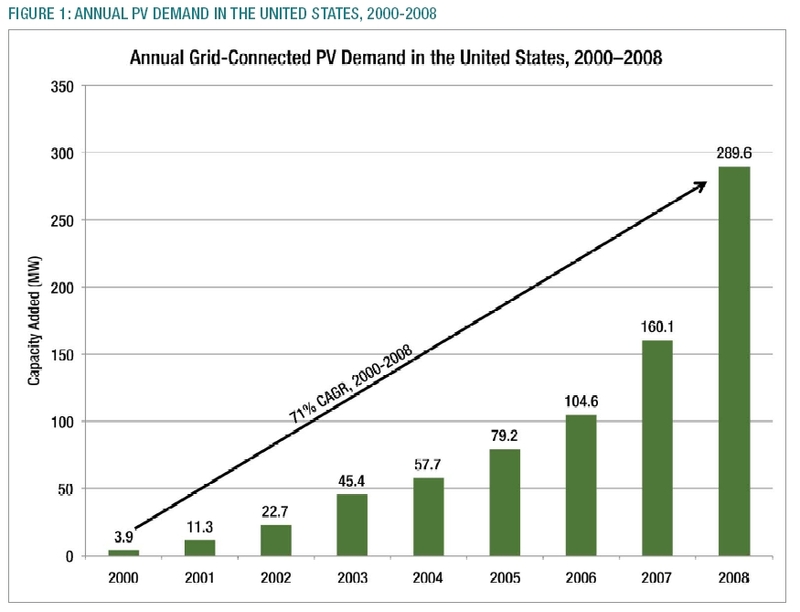 The solar market in the United States is poised for explosive growth over the coming years. As the market expands, it will be increasingly impacted by technologies and policies that today lie on the periphery. This webinar will look toward the future of solar in the U.S. by showcasing innovative developments that have the potential to disrupt the market. California Governor Arnold Schwarzenegger signed legislation Sunday that will create a European-style above-market tariff, called a feed-in tariff, for small solar-panel generators. Regarding tax policies: "It's not based as much on technical merit. It's based on politics." Electric vehicle advocates have been laying the groundwork for what they hope will be a breakthrough year for bringing the environmentally friendly vehicles to Oregon. Until / unless there is a public market for renewable energy, private money will be difficult to find. That said, according to recent reports (see image, below) for the first time, venture capitalists are putting more money into renewable energy, than bio-tech or info-tech. Cash for Clunkers or Sustainable Capitalism? The choice is ours. Not enough cars are being purchased due to the down economy. The U.S. Government (with its resources*) bails out (buys) GM & Chrysler. The program is so successful (throwing money away always is! ), that they triple the total amount, from $1 billion to $3 billion! They do so by stealing money from loan-guarantee programs for renewable energy projects. What are real consequences of such (shortsighted, politically-motivated) actions? [A] Funds for long-term renewable energy projects are reduced for short-term reasons. Consequence: Energy will be more expensive, later. [B] The true environmental costs increase. Why? Because the cost to make cars has not been taken into the calculation. [C] The price of cars will increase later. Why? Because continuing to pour $s into consuming will create inflation. Which will increase the price of everything. And since we are not investing in renewable energy projects, energy will also become more expensive. [D] The spike in sales will mostly deplete vehicle inventories, rather than spur new (& innovative) manufacturing. Consequence: No real boost in employment will occur. [E] Interest rates will increase, due to the major borrowing that is occurring. Supply and demand will make it happen. This is a market-distorting program that is ill-conceived, ill-planned and ill-managed. Just like the prior Government focus (& subsequent spending) on corn-ethanol. Ahh... Washintonians. Come to think of it, we voted them in! The decline of civilization, indeed. Bottom line? Let the market take care of itself. Let the auto manufacturers learn, or die. Let competition drive better, lower-cost products. Just look at the unregulated, unstimulated computer market. 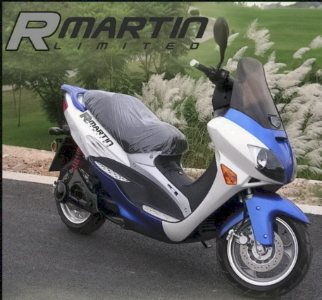 Look what $1000 used to buy and what it buys now. Why? Sustainable capitalism. Not unsustainable capital-infusion. What should happen? Government's role is to create an environment for long-term, business-oriented solutions for renewable energy to occur. A deeper discussion on this can be found in The 21st Century Energy Initiative. A specific solution is NXergy, Inc.
* "Resources": read taxed from U.S. citizens and borrowed from (mainly) foreign countries. Cleantech industries are poised to benefit as an infrastructure play and job-growth driver in President Barack Obama’s push for a new energy economy, boosting opportunities for cleantech investors, producers and adopters. According to the Potential Gas Committee, a team of experts that analyzes natural gas supply every two years, the U.S. has 2 trillion cubic feet of natural gas reserves. That amount represents over 110 years of supply at current levels of consumption and is the largest estimated amount in the 44-year history of the report. Interesting perspective: "Red, white & blue jobs" vs. "Green jobs". How about a discussion on how to solve our energy problems from a bi-partisan perspective? Join Portland State University and other community leaders at an interactive conference focused on building a sustainable Smart Grid Community Roadmap. Portland State will facilitate discussion around the recent outcomes and findings from their class, “Designing the Smart Grid for Sustainable Communities”. Participants will collaborate to create essential Roadmap elements and outcomes for a smarter grid that will help the Pacific Northwest support a more sustainable energy plan for our diverse communities. The smart grid has become a rapidly growing movement to design and implement the concept of an intelligent energy system that is more efficient, robust, flexible and sustainable. Join a distinguished panel to gain a basic understanding of how the systems we use for electric energy generation, distribution and consumption are evolving to better meet the needs of society and entrepreneurial opportunities available. 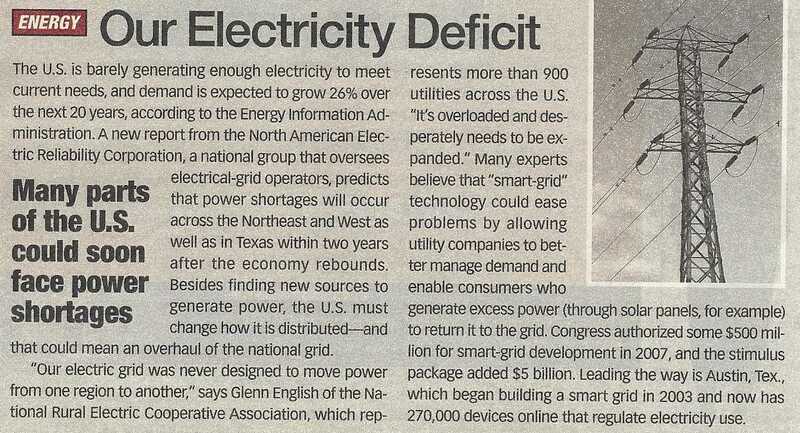 Once our economy rebounds, the U.S. electricity market is very likely to see disruptions (increasing power outages). The underlying cause is due to population growth and lack of investments to overcome this challenge. Adding electric vehicles and reducing the ability of power producers to develop cost-effective production capacity (due to cap & trade / RPS requirements) will dramatically exacerbate this challenge. Since cash is at a premium, the best way to accomplish more while spending less (i.e., productivity), is to invest in clean-technology. Seems there is a need for clean-tech acceleration. The sooner we start, the better life will be for us all. The "Top 10" low-carbon footprint cars can be found, here. 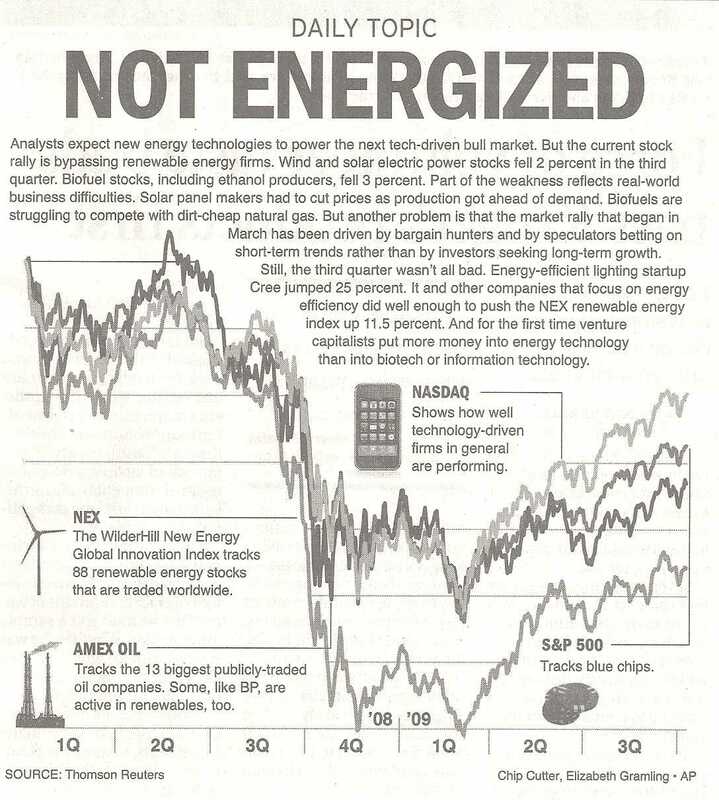 According to an Economist article, investments in clean-technology has dropped off faster than the decline in oil prices. This correlates well with my personal experience in working to raise funds for a clean-technology accelerator (NXergy). Looks like everything's going to be pushed out a year or two... depending on when oil prices creep back up around $4 to $5 (or more) a gallon. The following five areas will make a significant difference in our ability to become energy-independent: An intense focus on producing (and storing) low/no carbon electricity, using it more efficiently and distributing it more wisely is needed - especially when electric vehicles will likely be the way the United States gets off of foreign oil. IEA, Energy Trust of Oregon, Northwest Energy Efficiency Alliance and PECI. Interesting concept: Whirlpool engineers state that smart appliances could easily be set up to make decisions based on information from the grid without giving control of that device to the utility and without sending information about what decisions were made back upstream. Several companies are exploring how to make energy-efficiency solutions a reality. "Saving the planet and creating jobs may be incompatible." A recent paper from the Peterson Institute of International Economics and the World Resources Institute notes that investment in green-tech may just redirect capital from one use to another, indicating that the number of jobs created might not be so great as being touted. This needs to be addressed analytically, to determine the true value that green-tech (development & deployment) - to ensure as we move to a sustainable future, we "manage by fact". Investments fell from £377 million to £79 million in British renewable energy, including wind, solar and wave power (first three months of last year compared with this year). Story, here. The Clean Tech Open Pacific Northwest Competition is off and running! The official launch event will take place on April 15th in Seattle. Teams with innovative clean tech ideas can enter the business competition now through May 30, 2009. Semi-finalist teams selected in June will be assigned mentors, attend Business Clinics and the three-day Clean Tech Open Accelerator in preparation for the final judging. Three regional winners will each receive $50,000 in cash and services and will then compete in the Clean Tech Open National for $250,000 in cash and services. Funding renewable energy & energy efficiency is great. We've lacked it for a very long time. Obama's new "push" - though important - relies on the same mechanisms we're relied on for the past 30-odd years... without game-changing results. Again, funds are being put into labs... who's major metrics include:  # of patents and  requests for more research. Yes, more research is needed. So, this is the good news. The bad news is - there is no "game-changing thinking" going on in Washington, D.C. This question is not being asked: "What else should we do to speed renewable & efficient energy (R&EE) technologies to market?" 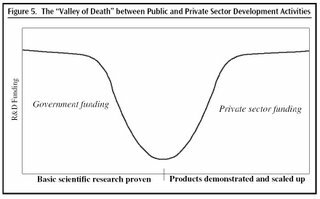 The speed-to-market has to do with acceleration, not more research. Without a change in thinking, we will not get a change in results. Fund technology acceleration: NXergy would be a good place to start. So would Nth Power, Reference Capital, Pivotal Investments and Equilibrium Capital Group. All focused on speeding profitable R&EE technologies to market. 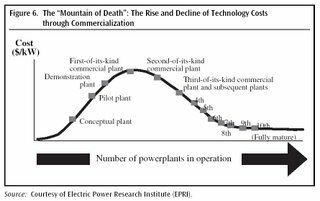 Leverage the existing power-production industry: Incentivize utilities to be more efficient and produce more sustainable power by allowing them to keep most (OK, half?) of the savings they create as a result of THEIR research. Change thinking: Profits aren't bad... the notion that an entity HAS to be a non-profit to gain Federal funding is ridiculous. Profiting from going green makes all the sense in the world! Once business is on board, you'll see serious movement. I have determined that through profit-focused clean-tech acceleration, jobs can be created for a fraction ($5,000 to $10,000 per job) of what is being proposed ($60,000 to $224,000 per job) for "bail out" funding. 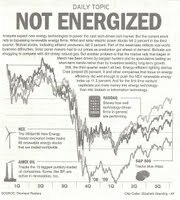 Alternative Energy News is published by Energy Planet: Access to some great information. The U.S. Department of Energy's State Energy Program (SEP) publishes Conservation Update bimonthly to summarize renewable energy and energy efficiency projects of state energy offices. "We can probably improve the efficiency of the grid by 5 percent," said Steve Fludder, vice president of Ecomagination at GE, during an interview at the Cleantech Forum taking place this week in San Francisco. Five percent doesn't sound like much, but it translates to 41,000 megawatts of generating capacity, or 41 gigawatts." Information on RMI's* "Project Get Ready" and the Smart Garage Charrette Report. A recent report (starting on page 20) outlines the current situation and states' perception of what is to be done in energy. "We know the country that harnesses the power of clean, renewable energy will lead the 21st century. And yet, it is China that has launched the largest effort in history to make their economy energy efficient. We invented solar technology, but we’ve fallen behind countries like Germany and Japan in producing it. New plug-in hybrids roll off our assembly lines, but they will run on batteries made in Korea. But to truly transform our economy, protect our security, and save our planet from the ravages of climate change, we need to ultimately make clean, renewable energy the profitable kind of energy. So I ask this Congress to send me legislation that places a market-based cap on carbon pollution and drives the production of more renewable energy in America. And to support that innovation, we will invest fifteen billion dollars a year to develop technologies like wind power and solar power; advanced biofuels, clean coal, and more fuel-efficient cars and trucks built right here in America." Unfortunately, the Senate (& compromise) versions got rid of the $2 billion to accelerate technologies and instead put in lots more $s (good news) for pet projects (bad news). It seems politicians think they can "pick winners" better than scientist, engineers and entrepreneurs. Can you say "ethanol"? When will it end? I attended a recent webinar (ocean grids around Europe) which discussed an approach to develop a "super-grid" offshore of Europe. Grand in its thinking, the impetus for this session was very pedestrian: how to get quality, uninterrupted power to Europeans in the future? The presentation can be downloaded and viewed, here. Energy bill contains $s for technology acceleration! and Reinvestment Act of 2009 has $2 billion for technology acceleration (page 62 of the proposed bill): "$2,000,000,000 shall be for expenses necessary for energy efficiency and renewable energy research, development, demonstration and deployment activities, to accelerate the development of technologies..."
Perhaps Oregon's delegation will ensure NXergy gains a portion of that for accelerating technologies that the energy industry can use to meet RPS and Cap & Trade requirements, let alone the coming electric-vehicle "energy shifting" that will be occurring. Venture capitalists spent 46% more on cleantech in the first three quarters than during all last year. Solar energy companies got the most money, accounting for $664.6 million. And most of the U.S. venture money -- $1.7 billion -- went to U.S. companies, followed by companies in the Netherlands, Brazil and China. Within the United States, California companies raised the most, with $725.2 million in 68 deals, while Massachusetts companies followed, with $292.6 million in 11 deals. Even the Saudi Government is investing in green-technology. 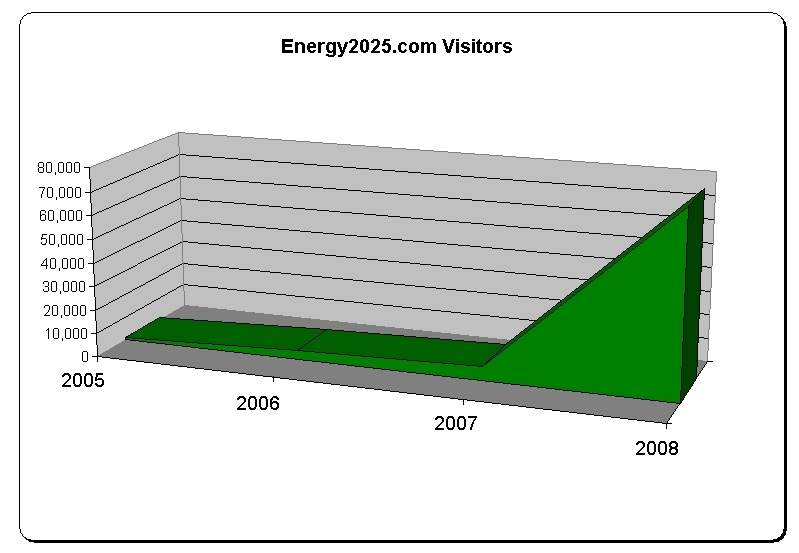 I just want to send a note of personal thanks to everyone who has helped Energy2025 grow. Because of you, this blog has gained considerable "traction" - and (hopefully) is helping to make a difference in how we think about energy independence and renewable energy. In some small way, my true hope is for world peace - by not having our need for energy be a motivation for violent transgressions against others. Nor be beholden to any other country for our energy needs. I am doing what I can to build a Renewable Energy Technology Accelerator (NXergy, Inc.) in Portland, Oregon. This is important work that needs to be done. I believe we can all do well by doing good. I hope you do, too. A utility association that represents 70 percent of the U.S. power industry called on Congress and the new administration to jump-start the economy by helping Americans save energy. Although energy efficiency is an excellent investment, the reader should decide for themselves if the free-market-breaking proposition is the best use of $s. It struck me that during the Great Depression, it took about 5 years before the Government started considering injecting significant currency into the markets. In January of 2008, we were worried about inflation. It's taken less than 12 months for the US Government to start pumping liquidity into the market. Another interesting fact: It took about ten years after the Great Depression for the US Government to issue bonds that carried a negative interest rate. This time, it took less than 6 months, after the stock market nose-dived. I believe with the "speed of information travel" being SO fast (and getting faster), that we are in "exponential times". If we think that societies' "speed" will not create a significant energy demand surge, then we're kidding ourselves. The recession may last a few years, but soon - the economy will roar back. The investments we make (in renewable energy & energy-efficient technologies) now will pay significant dividends, later. However (=opinion alert=), if we do not invest now, the U.S. will become a third-world nation. Although controversial, Obama has dropped his plans to tax windfall profits. As explained in The 21st Century Energy Initiative, this is a good thing. However, investments in alternative solutions should be encouraged. 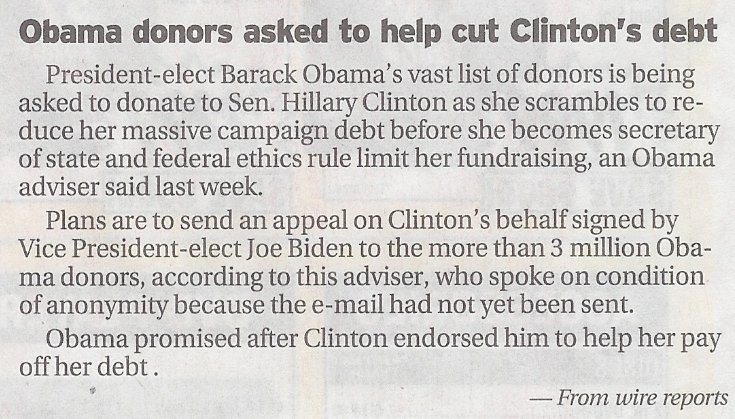 Obama's donors asked to help pay Clinton's debts. 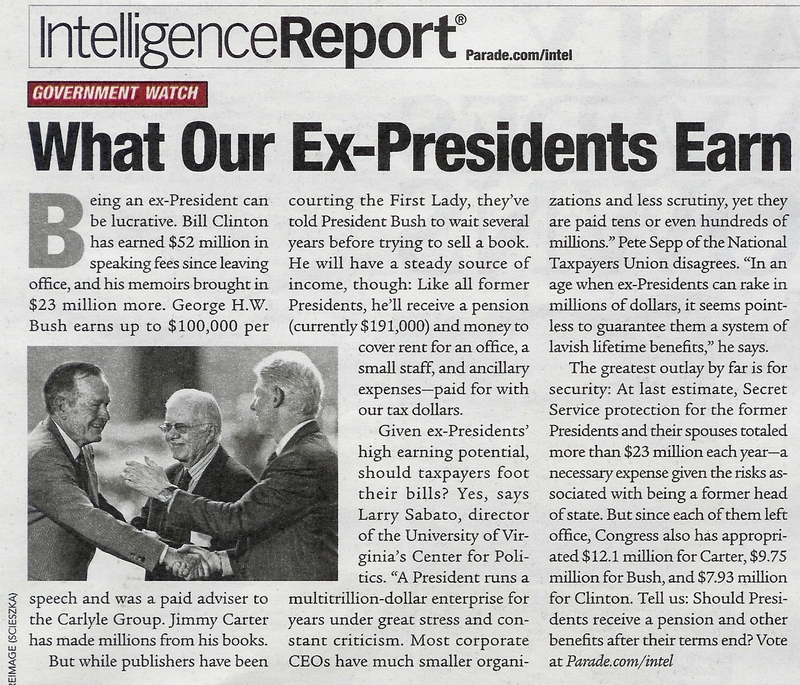 President Clinton earns $85 million since leaving office (> $10 million per year, average). Obama's campaign has $30 million remaining. Great blog on green. Autos. Check out this blogsite! All things: Auto. Green. With energy prices dropping significantly, the perceived "pressure" to solve our energy problems reduce, too. When we come out of the recession (or worse), Peak Oil (supply) and China/India growth (demand) will make things much much worse - and may cause an even greater energy-price economic crunch than we're seeing today. Therefore, due to the difficult economy we face, I have decided to do my part - and give away copies of my latest book: "How to Attract Significantly More Customers... in good times and bad." I believe businesses will pull us out of this deepening recession: With the economy the way it is, I hope to help thousands of business owners make both strategic decisions and strategic changes, to grow their way out of our difficult economic malaise. In doing so, they hill hire more people and reduce joblessness. Thereby creating an environment where - once again - renewable energy solutions will overtake the economy as the #1 issue. If you know any business owners who could benefit from new insights, please forward the following URL to them: http://www.attractmorecustomers.net/free. Thank you. Scott Alexander tells it like it SHOULD BE! "It's shameful that our government would rather spend $25 billion bailing out an automobile industry that was burning $1 billion per month during the peak of the housing / borrowing / spending boom, than to set up a $25 billion venture fund so start-up companies that can't be self-funded have a chance at making it. Tesla (the electric car company run by former PayPal co-founder Elon Musk) hit the nail on the head when they petitioned the government for $400 million from the American Auto Industry bail-out proposal. Hmm. Give $400 million to a company that will use the money to bring American made commercially viable electric vehicles to world market years ahead of any other nation, or give $25 billion to failing poorly managed companies that will use the funds to pay off the unions to allow them to lay people off. Seems like a no-brainer. I hope Obama has the right mix of Liberal and Conservative that this nation needs. It must be tough times for libertarians :) !" Looks like Fisker Automotive has outdone Tesla motors. They went for a shorter driving distance, and built in a 4-cylinder gas engine for >50 miles. 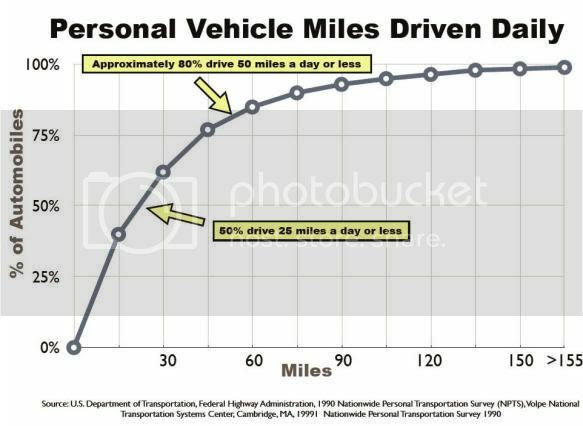 (The average miles driven per day is fewer than 50 miles... 80% of the time.) They also won a court battle against Tesla. Let the electric-car wars (i.e., competition, driving down electrics) begin! More importantly, we will need to be innovative about how we spend money. 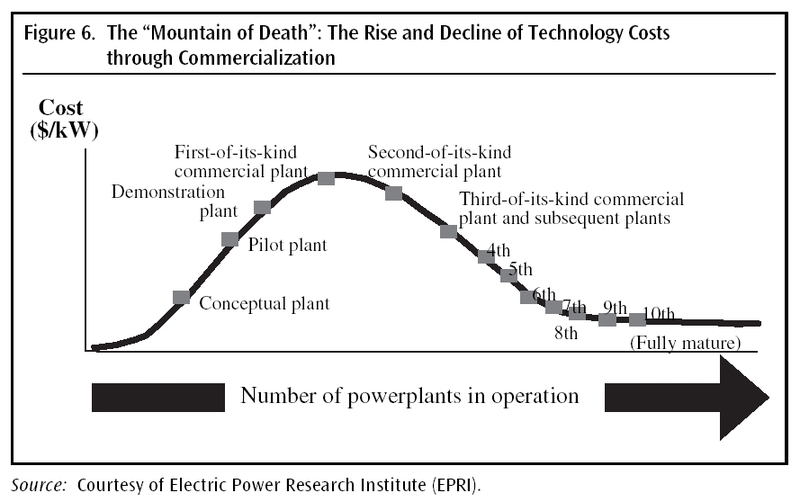 Please - don't just throw money at the current "system" for commercializing energy technologies. It hasn't worked. 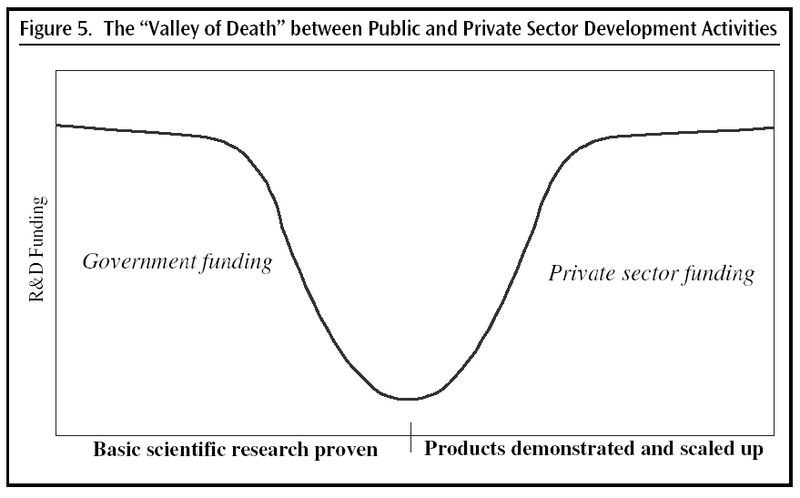 Innovative, even disruptive business models need to be developed and funded. One such innovative approach is NXergy, Inc. According to a recent report, a University of Michigan engineer has made a machine that works like a fish to turn potentially destructive vibrations in fluid flows into clean, renewable power. Watch the video. Check out the company. According to the Congressional Budget Office, Cap & Trade Act (S. 2191 America's Climate Security Act of 2007) would cost over $1.4 trillion over the next 10 years (assuming the 2018 "run rate" for 2019). Although the first three years cost "only" $15 billion, beginning in 2012, the cost is $150 billion per year and over $300 billion / year by 2018. Just thought this information is important to share. Smart grid startup GridPoint Inc. got into the utility power storage business Tuesday, announcing that utility Xcel Energy had chosen its software to manage a wind power battery storage project. GridPoint raised $120 million in September and bought Seattle-based V2Green, a company that makes technology to allow plug-in vehicles to communicate with and provide power back to utilities. GridPoint previously had raised roughly $102 million before that in four rounds of funding, with investors including Goldman Sachs Group and Susquehanna Private Equity Investments, New Enterprise Associates, Perella Weinberg Partners, Robeco and the Quercus Trust. Greenbang tracks the explosion of the environmental industry, reporting on news of green innovation and clever business people.W e blog on this rather than the environmental problems of the world because we are interested in the answers - if there are any. Greenbang is a clean-tech and green business news website that provides daily updates to more than 80,000 investors, C-level executives, entrepreneurs, and corporate intranets. The website began as a blog, but now also acts as a global news resource with journalists reporting from four continents. The daily posts are published on CNBC’s website. Greenbang is based in London, UK. It is a privately owned limited company and part of the Tolléjo Media Group. Wells Fargo has some ways to save money on energy costs. While we're at it, check out Oregon's Energy Trust solutions: Home & Business. The International Energy Agency (IEA), in its World Energy Outlook for 2008, says prices could increase to as much as $200 a barrel by 2030. "The immediate risk to supply is not one of a lack of global resources but a lack of investment where it is needed." The political and investment environment are shaping up to be just right for investments into green-technology acceleration. Everyone wants a bailout! Whatever happened to our advice to the Japanese when their economy went south in the 1990s? We (U.S. policymakers) told them to let banks fail, in order to cleanse the system of those who should never be allowed to survive. All others would become stronger as a result, and the economy would ultimately recover in a more robust manner. I huess we don't listen to our own words. Now - because the automakers never did (really) understand  what consumers wanted, nor  what was going to happen in a peak-oil-world, they want a bail-out, too. And D.C. is considering it!(?). This will only give them the money they need to keep spending the way they have. What happens if one of them fails? The others will become stronger! What happens if we bail them out? They continue their spendthrift ways, without the wake-up call they need. Opinion alert: I do not think we should reward bad behavior! With all the largess, hyper-inflation will be headed our way, soon enough. Keep an eye open for it. For a very interesting taxonomy of green energy,. check out this interactive map. And so it begins... "In the first sign of Democratic intraparty strife since the election, Rep. Henry A. Waxman (D-Calif.) has told colleagues that he plans to challenge the House's most senior member, Rep. John D. Dingell (D-Mich.), for the chairmanship of the Energy and Commerce Committee." "Power corrupts; absolute power corrupts absolutely"
The Energy Information Agency predicts that oil till get back to $100/barrel soon and soar to $200/ barrel by 2030. With  peak oil,  demand from China & India, and  significant efforts to cut carbon emissions, I suspect $200 / barrel will be reached far sooner and we will see even $500/barrel. If for no other reason, due to the $1 trillion in bailouts this country has spent / will spend in the next few months. Why? This will drive down the value of the dollar (even though it is firming in today's economic climate), which will drive up the price of gas. This of course, will be good for renewable energy and renewable energy technologies. President elect Obama indicates (because of having to choose his priorities) that he is more interested in supporting renewable energy (The Cause) than he is paying to deal with climate change (The Effect), that he may need to focus limited resources on funding renewable energy. This is a GREAT (tough) decision, and application of real-world financial reality. Bravo! Interesting... Obama's perspective on coal - and CNBC's response. into the next several decades? In response to the banking failures of 1929, two acts of Congress came to pass: the Glass-Steagall Act and Banking Act of 1935, which prohibited banks from investing and limited interest rates among other things. The Bretton-Woods system of 1944 provided that the United States would maintain the dollar value of gold at $35 and the other national central banks would maintain the dollar value of their currencies. If all countries were fixed to the dollar and the dollar was fixed to gold, the fixed exchange-rate system was anchored to gold, a design that prevented monetary inflation. In 1944, the Bretton Woods Agreements took the U.S. Dollar off the gold standard. A major cause of oil (and gold) inflation has to do with the precipitously falling dollar - due in no small part on how our U.S. economy has been led (read Government spending). Or mis-led. By both democrats and republicans alike. In the strong economy of the 1950s and 1960s, we had utilities who were encouraged to find ever-more profitable ways to reduce energy costs. Passing a portion on to consumers while being allowed to keep some of it (in case we forget, they are called profits.). Now we seem to discourage this behavior. Since the 1973 oil embargo, we have viewed oil companies as the bad guys, and taxed their "excess" profits. The unintended consequence of this is that they did not invest as they could have, ramping up our dependence on foreign oil resulting in much higher gas prices. In the strong economy of the 1950s and 1960s we had smaller budget deficits, Republicans weren't in cahoots with Democrats (in spending our hard-earned $s), nor were they spending on hundred-million $ bridges to nowhere. Or multi-billion $s no-exit-strategy wars. In the strong economy of the 1950s and 1960s, utilities were rock-solid. Banks were rock-solid. Inflation was tamed. The United States led the world financially and morally. In ethical behavior. In Doing What Is Right. Outsourcing: From a business perspective, it "seemed" like a good idea to export our jobs to lower-wage (read lower-quality / lower-ethic) countries. But with contaminated pet food, lead in toys and counterfeit software and other products, we are finally waking up to the fact that not everyone has the same ethics as Americans. BRIC: Brazil, Russia, India and China are growing at such a rate that their economies are (also) driving up oil prices. Obesity and being a victim: Americans seem to feel the Government owes them a living. Including free health care. Which will require vast sums of money and cause further erosion in the value of the dollar. The deferred gratification that comes with longer life (later) due to better behavior (now) seems to be a difficult concept to grasp for most Americans. If you put all these seemingly disparate facts / events together, one can see how this came about: Death by a thousand cuts: Those cuts being the erosion of profit as a true motivator (led by anti-capitalists), and one can see where this may head. Sooner than later. It is interesting that this contrarian view makes sense when unwinding unintended consequences caused by too much government meddling. We have a choice in front of us. We have the talent, resources, capitalist (read free-choice) system and capability to lead the world: economically, technologically, politically and even morally. Rearranging deck chairs on the Titanic seems to be the status quo from our political leaders. Voted in by a disenfranchised electorate. The United States deserves more. Its citizens deserve more. And you deserve more. We need leadership. We need focus. And we need to marshal our collective will and considerable resources to work together to solve all these problems, in a way that bodes well for our children and grandchildren. Instead of the political parties trying to undermine one another, instead of the PUC disincentivizing utilities to find innovative ways to move to clean energy, instead of additionally taxing oil companies' profits - why not focus on what would solve many problems? Why not focus our resources on incentivizing, supporting and even funding renewable energy technologies that would enable the United States to become a net-exporter of renewable energy? Not high-jobs-per-kilowatt-hour. But high-density, clean energy production. A simple (simplistic?) solution is to move away from oil entirely and rely on electric vehicles, using renewable grid-electricity production. Yes, driving range is an issue. As is battery technology, but most of us drive fewer than the average range of current-technology plug-in cars. By converting even 10% to 20% of vehicle usage to electric vehicles, greenhouse emissions would decrease significantly, as would oil prices. These are business decisions, and it seems our car companies are a bit slow in "getting it". Bottom line: The root cause of our economic problems is that we are a net importer - of goods and energy. No economy can withstand the hundreds of billions of dollars being sent to non-friendly states. The root cause of us being a net-importer is that in general, we are complacent. Yes lots of great people and organizations are doing lots of great things. But America appears to be in not only a cyclical decline but a long-term decline. As a free country (so far), you have the ability to vote with your signature and your dollar. Government: Let's help Government become more responsible by only voting for those who "get" this notion and actually do something by focusing on the root cause problem: Becoming a net-exporter of renewable energy and renewable energy technologies. How do we do that? With your vote. In 1980, John Anderson ran on a ticket to solve our energy problems by adding a 50 cent per gallon gasoline tax. Had this been accomplished, those billions of dollars would have been spent to solve our oil dependency. He received 7% of the popular vote. Use your signature on a letter to your congressmen and women - to fund renewable energy technology development. Your children will thank you. Business: Only buy cars that are electric or hybrid. That is, vote with your dollars. 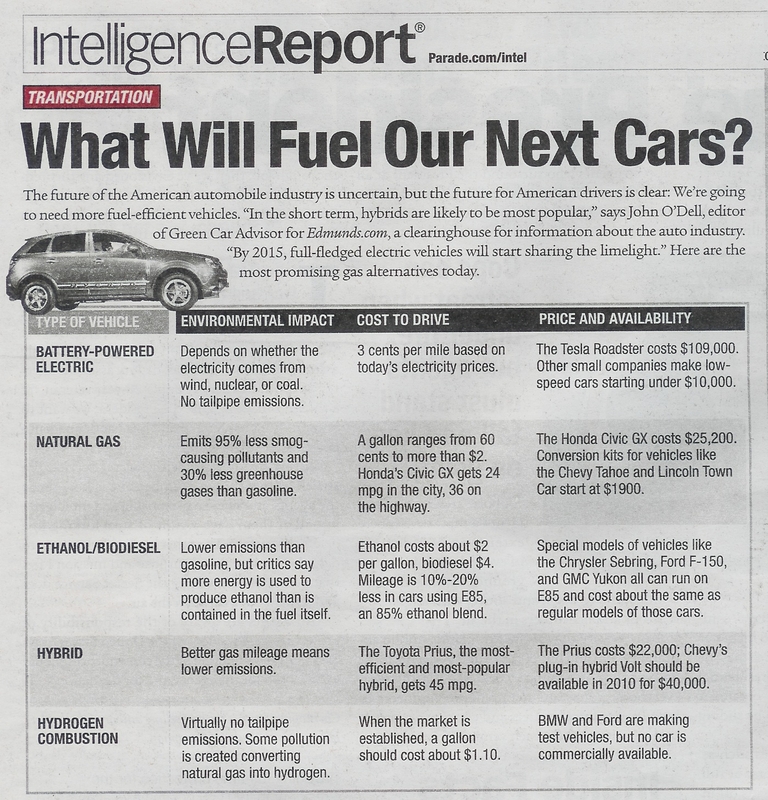 Use your signature to write the CEOs of U.S. car manufacturers to build plug-in electrics. Then buy them. Here we go again: Delays in renewable / alternative energy initiatives are beginning. Perhaps it is time we do something! "We can promote alternative energy sources and conservation, and we must. America must become more energy independent, and we will." — George W. Bush, State of the Union address, Feb. 7, 2001. "The nation's growing reliance on imports of crude oil and refined products threatens the nation's security because they make us more vulnerable to oil supply disruptions." — Bill Clinton in an energy security statement on Feb. 16, 1995. "Conservation efforts are essential to keep our energy needs as low as possible. And we must then take advantage of our energy sources across the board: coal, natural gas, hydro and nuclear. Our failure to do these things has made us more dependent on foreign oil than ever before." — George H.W. Bush in an address to Congress on Sept. 11, 1990, in the run-up to the Gulf War. "We must take steps to better protect ourselves from potential oil supply interruptions and increase our energy and national security." — Ronald Reagan, in an energy security message to Congress on May 6, 1987, in which he raised concerns about "our increasing dependence on imported oil." "This intolerable dependence on foreign oil threatens our economic independence and the very security of our nation. ... Beginning this moment, this nation will never use more foreign oil than we did in 1977 — never." — Jimmy Carter in a television address on July l5, 1979, in which he announced temporary oil import quotas. "I am recommending a plan to make us invulnerable to cutoffs of foreign oil. It will require sacrifice, but it — and this is most important — it will work." — Gerald Ford, State of the Union address Jan. 15, 1975. "Let us set our national goal ... that by the end of this decade we will have developed the potential to meet our own energy needs without depending on any foreign energy sources. Let us pledge that by 1980, under Project Independence, we shall be able to meet America's energy needs from America's own energy resources." — Richard M. Nixon, responding to Arab oil embargo, Nov. 7, 1973. Christophe de Margerie of France's Total said: "Supply will remain short, and if we don't pay attention, the recovery will come and supply will be less and the price will climb again." Yesterday, I met with Governor Kulongoski (as did 200 others) - to hear him lay out his green agenda for Oregon - for the next legislative session. His major points include efficiencies, tax breaks, focus on transportation and several other initiatives. These will help Oregon get "greener". Some are arguable (as to how they will be paid for), but action is truly needed. And his is a bold approach. The Oregonian's front page article goes into detail. My only concern? No emphasis on new technology development. Deployment of existing technologies, yes. This is not enough. 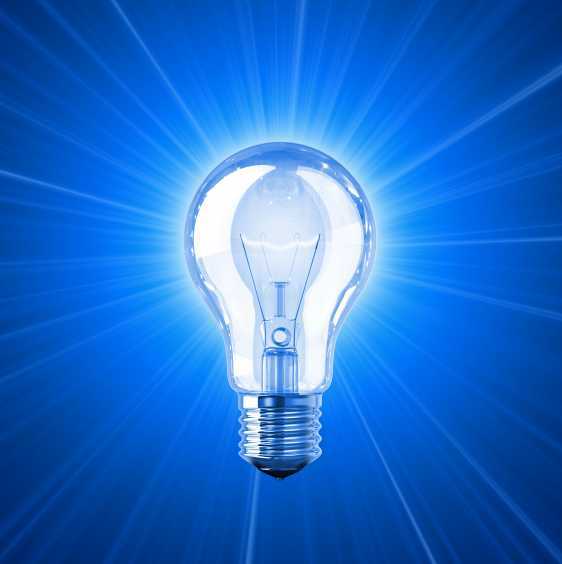 For instance, energy storage (to help make wind & solar more productive), transmission improvements (to stem looses), distributed generation technologies (to decrease "I^2R" losses and increase energy security), "pre-plug" efficiencies (not just EnergyStar / appliance programs), and low-carbon solutions - are all needed to innovate our way through the energy-independence situation. Bringing DOWN energy costs while reducing carbon and other emissions. "Venture capital flowing to startups totaled $7.1 billion, a 9 percent decline from the same time last year, while alternative energy, or "clean tech," raised $1.04 billion, a 17 percent increase." A couple great examples of business & research labs' collaboration can be found in this article. Bottom line: American businesses need to out-innovate their counterparts in the global playing field, or risk getting left further behind! 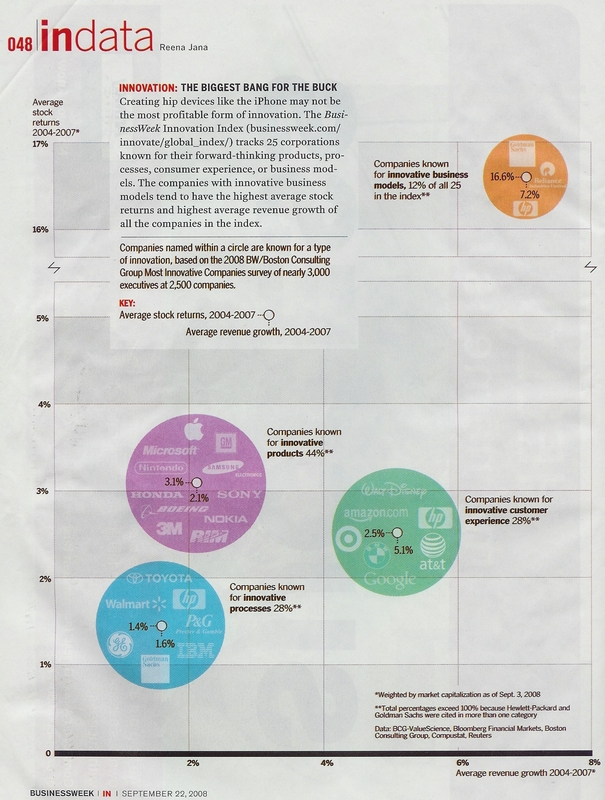 According to Business Week, innovative business models outperform innovative processes, products and "customer experience". A more detailed "map" can be found, here. This is exactly the thinking needed to innovate our way out of our current, and the coming energy conundrum. The Institute for 21st Century Energy released a Blueprint for Securing America's Energy Future at Colorado State University in Fort Collins, CO. 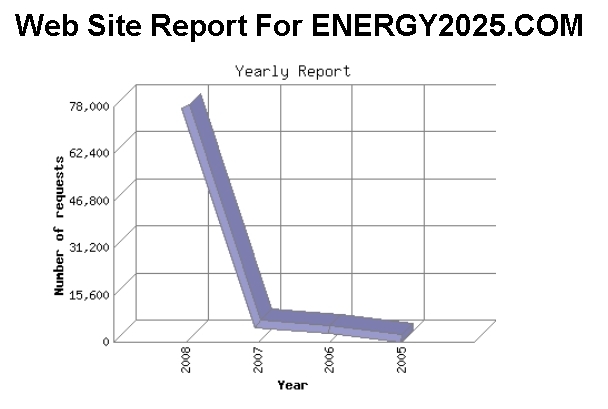 It provide more than 75 energy policy recommendations for the next President and Congress. One of its major recommendations includes: Significantly Increase Research, Development, Demonstration, and Deployment of Advanced Clean Energy Technologies (page 20 of the report). Additionally, it recommend that Congress should create a Clean Energy Bank of the United States (CEBUS), with sufficient initial capitalization to invest in and accelerate the market penetration of advanced clean energy technologies. These support NXergy's focus and is the right direction. The U.S. Faces another "Sputnik Moment"
Rep. Bart Gordon, a Democratic congressman from Tennessee and chair of the Science & Technology committee, believes the United States faces a new challenge in need of government support: finding the fuel of the future. He's proposed a new government entity, the Advanced Research Projects Agency-Energy, with the mandate to invest in revolutionary technologies. "In less than a decade, the global industry of renewable energy is projected to explode from a $150-billion-a-year industry to a $600-billion-a-year industry." Perhaps Congress has gotten too used to mega-bills, which require so much "negotiation" (*meaning horse-trading) that everyone wins... at the expense of the budget. 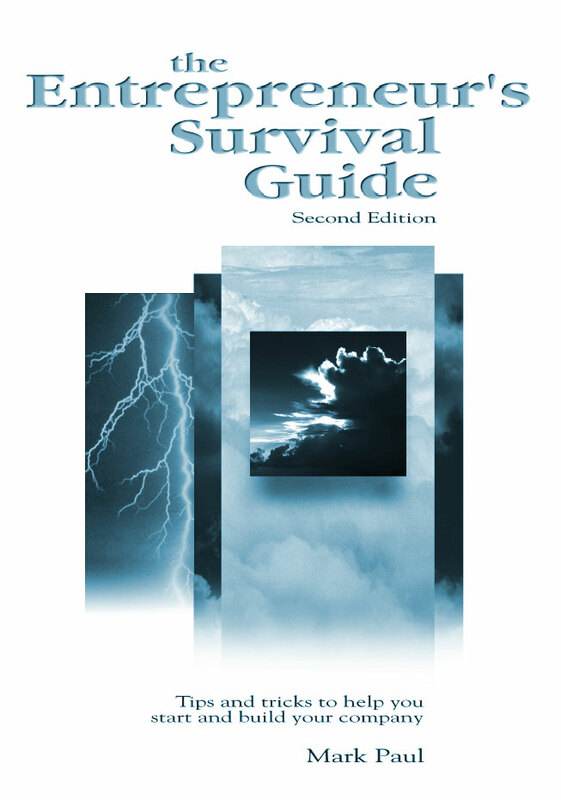 (Example: the current mortgage / financial "rescue" package including green aspects.) Green-tech legislation should stand on its own and be supported by good science. "The United States government has been unable to fix the country's energy problems," Google Chief Executive Eric Schmidt said, but the Internet giant on Wednesday proposed its own 22-year solution. "We have seen a total and complete failure of leadership in the political parties of the United States," Schmidt said in a speech at the Commonwealth Club here. "We've been working on a plan to help solve this problem." In yet another sign that greentech is defying current economic woes, GridPoint Inc., a clean tech company specializing in smart grid technologies, announced it acquired V2Green, a Seattle company that provides plug-in electric vehicle grid integration technology. Congress is (still) at an impasse on Renewables. As one of the "potential futures" predicted in my new book*, the downward spiral of weak-dollar-induced higher oil-prices, coupled with our inability to innovate our way out of this problem is taking hold: "Obama says Wall Street bailout will cut his energy plan." Get ready for hyper-inflation as billions get pumped into our economy. A KPMG survey finds that venture capitalists, entrepreneurs and others expect more funding for energy storage, wind and clean coal. Most venture capitalists and entrepreneurs expect greentech investments to increase next year, according to a survey released by KPMG on Tuesday. About half of the survey respondents said they expect greentech investments to jump by 20 percent or more in 2009, while 34 percent of respondents see an increase between 10 percent and 19 percent from 2008 to 2009, the survey showed. "While many of the world's best business brains are exercising themselves over the current global banking and equities crisis, there is another issue which has the potential to dominate our lives far more in the longer term -- energy." From a CNN report. It is absolutely unbelievable that our elected officials - those who are entrusted with our (read *your*) taxes have failed in their fiduciary responsibility to protect Americans. To "spend" a minimum of $785 billion* will do nothing but ignite hyper-inflation. This puts significant upward pressure on oil prices, which puts a downward spiral on the U.S. dollar. The result? As inflation revs up, fewer real dollars are available to solve our energy problems. This will mean more oil addiction... and the spiral continues. How to Solve Our Energy Problems: The 21st Century Energy Initiative points to how the lack of financial leadership (in Government) has led, and will lead us down a ruinous path. (Book excerpt on this topic, here.) Soon, the only way will be to vote the bastards out... and only vote in those who tell the truth, and make the hard (politically incorrect) decisions to get this nation moving in the right direction. Again. * $700 to "bail out Wall Street" and $85 billion to bail out AIG. The Community Redevelopment Agency is proposing a greentech manufacturing and innovation hub with a 20-acre complex in the city's downtown. The city famed for its movie industry wants to be ready to attract greentech companies as utilities rush to meet a state mandate requiring power companies to get 20 percent of its electricity from renewable sources by 2010. The Los Angeles Department of Water and Power, for one, will invest about $5 billion in alternative energy to achieve the goal. Google and General Electric said Wednesday that they would work together on technology and policy initiatives to promote the development of additional capacity in the electricity grid and of “smart grid” technologies to enable plug-in hybrids and to manage energy more efficiently. The companies said their goal is to make renewable energy more accessible and useful. The just-released chapter* "You Think It's Bad Now?" - explores in more detail the unsustainable growth in automobiles in China and India, and why significant, comprehensive, bi-partisan actions need to be taken now to address the growing "energy shift" that will hit us very hard: Twelve times as much oil will be needed in 2024 to meet the demand for (just) two countries - to get to the same "standard of living" as the United States - as measured by the number of cars per 1000 people. 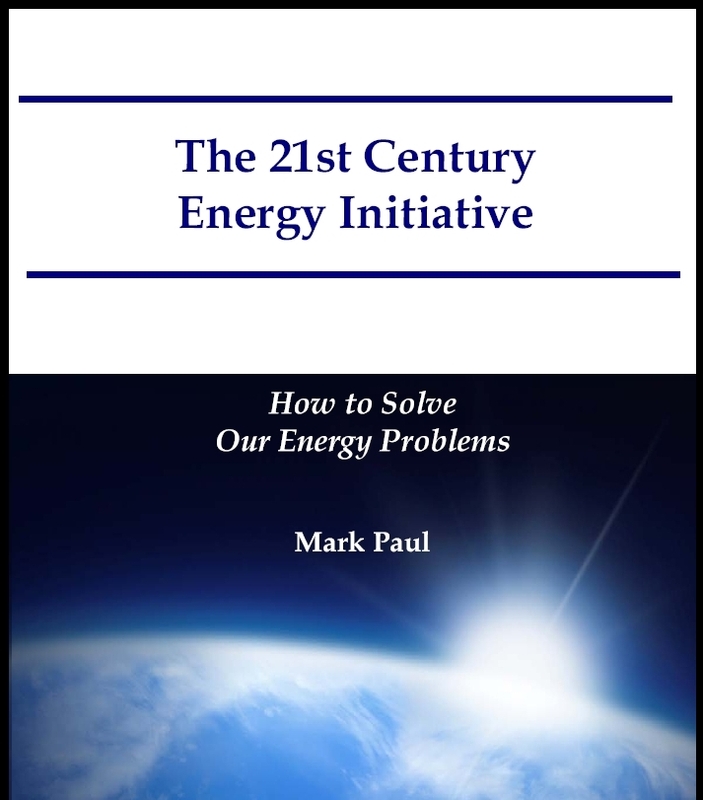 * From the new book "How to Solve Our Energy Problems: The 21st Century Energy Initiative". It doesn't really take a scientist to figure this out, but both candidates are running toward energy solutions: McCain's economic adviser Douglas Holtz-Eakin said energy would top McCain's policy list in his first 100 days in the White House. Meanwhile, Senator Biden very interested in renewable energy (although mainly biofuels). It is likely that the candidate who proposes the most credible plan will sway independent voters. A high-level comparison can be found here, and a more detailed comparison can be found, here. Independent voters will decide the next president of the United States. Significant shifts in our thinking and behavior are needed to overcome this grand challenge. Not business as usual or government as usual. We need true, common sense leadership on this issue! This is a great grass roots effort. Americans are tired of politics as usual - blaming the other side for political gain instead of coming up with real bi-partisan solutions. Please look at what The Energy Rally for America is doing and seriously consider signing on to help them. The Rally is on September 8th! How do Obama's & McCain's Energy Plans compare to The 21st Century Energy Initiative? See for yourself how Obama's and McCain's plan compare. Right now, Obamas' plan is better than McCain's. All McCain has to do is to show how he is different from both Obama and Bush: and he could win over independents! One of the critical success factors in this election is - who will win over independent voters? As usual the issue is: How will the next President affect my pocketbook? 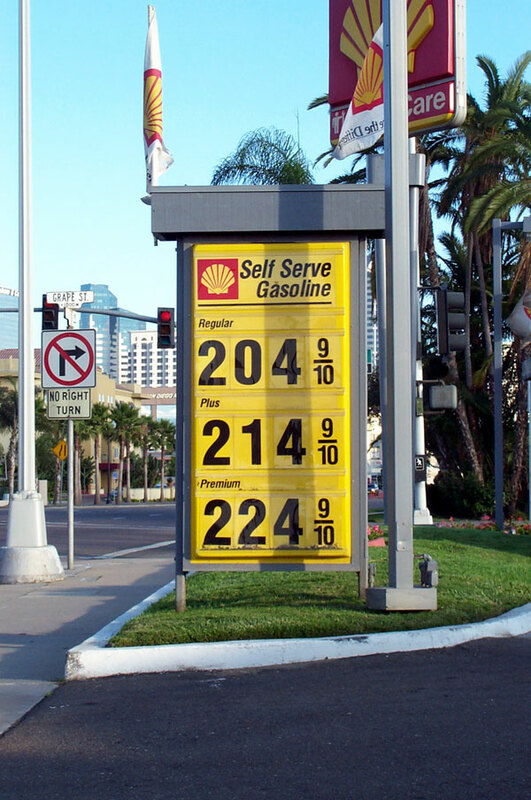 The biggest single metric for the economy is the price of gas. 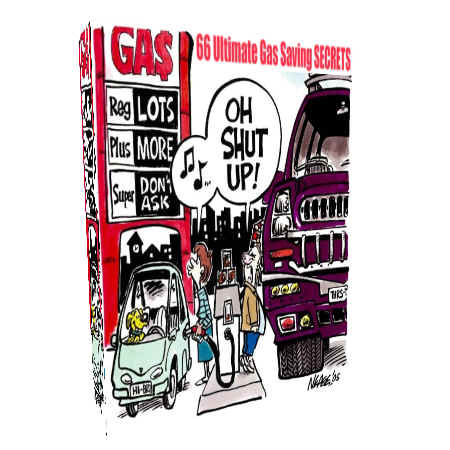 It's something voters are reminded of 2 to 5 times a month; every time they fill up their gas tanks. McCain has got to differentiate himself by focusing on renewable energy technology acceleration and commercialization: Applying significantly more resources than he is currently planning.